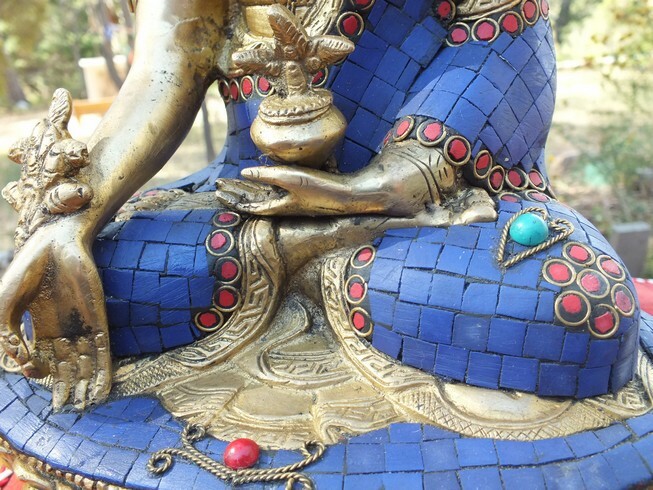 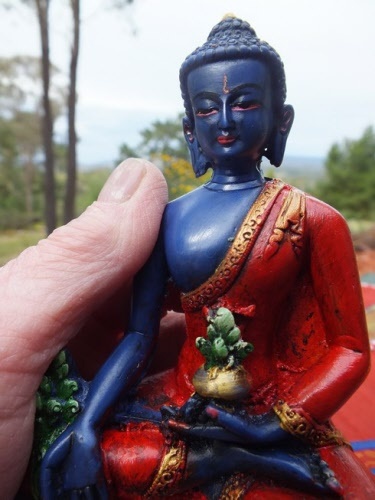 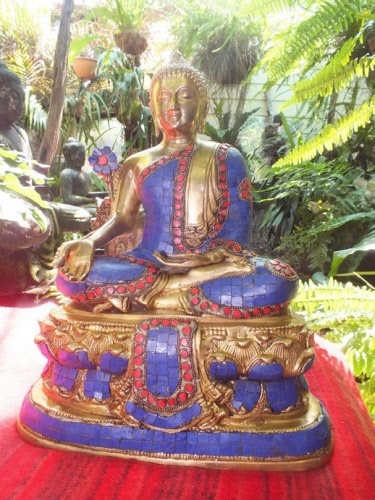 A very imaginative design - this brass Medicine Buddha crafted in India has been decorated with lapis, turquoise and coral tiles to transform it into a Magnificient work of Art. 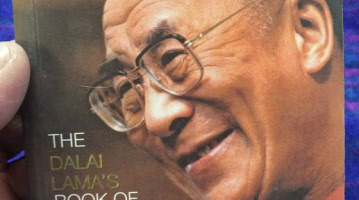 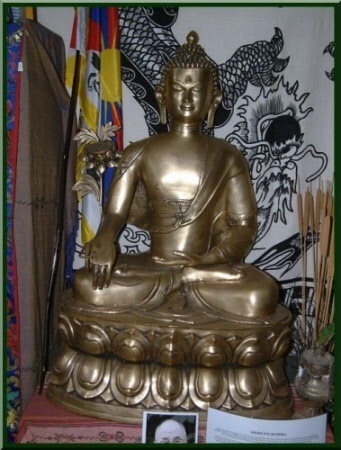 to the sickness of suffering within samsara. 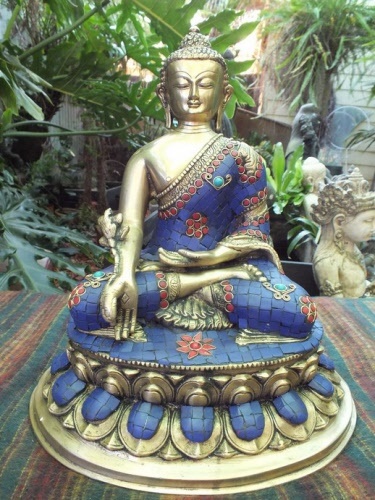 His right palm facing outwards and offering, in a gesture of generosity, a stem of the myrobalan plant. In stock and available to send now. 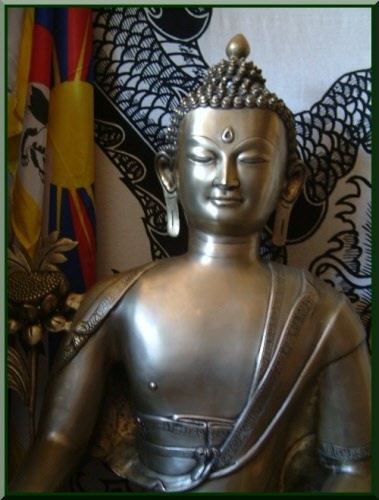 Or ask for a quote to your location. 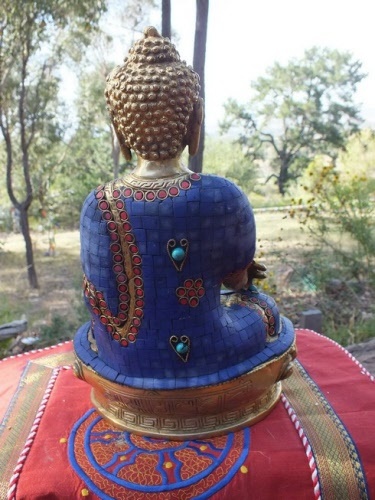 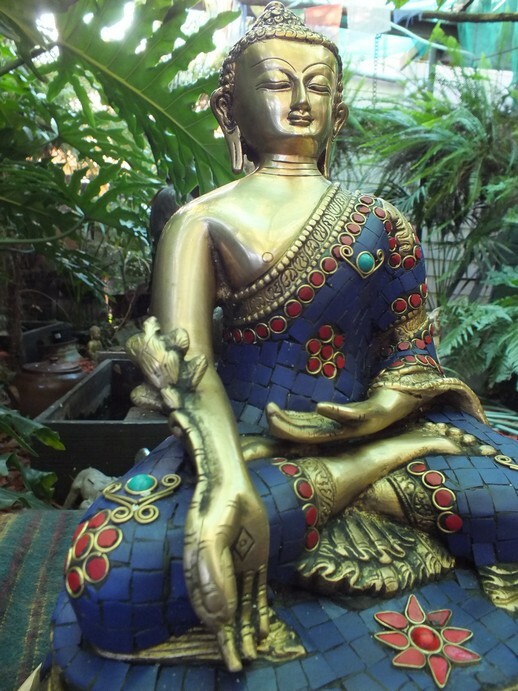 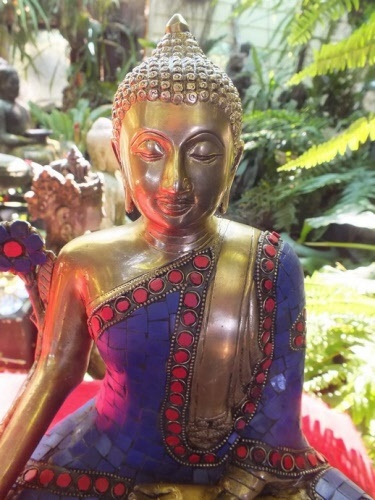 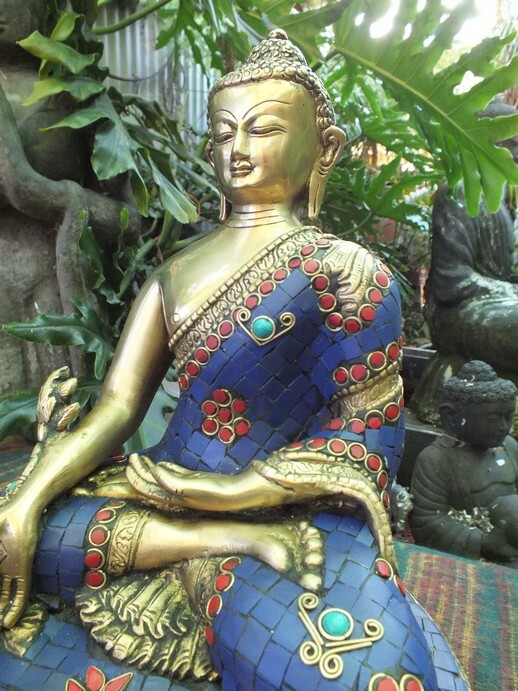 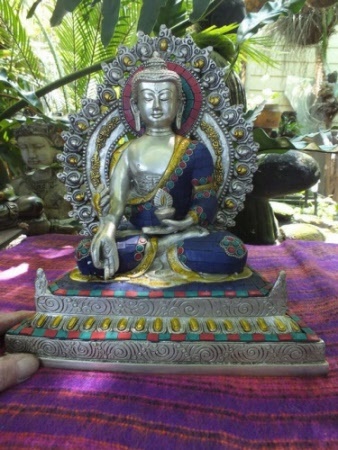 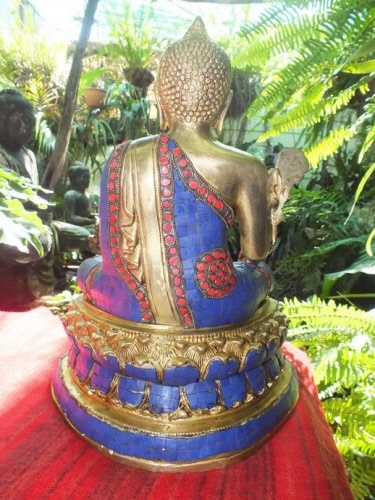 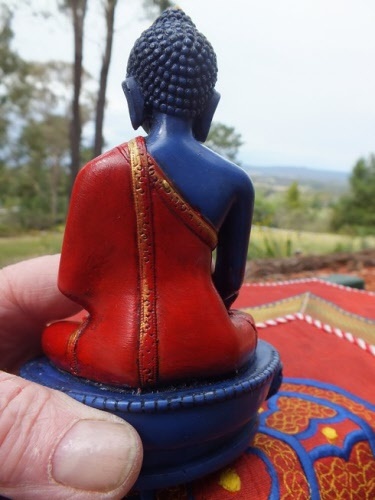 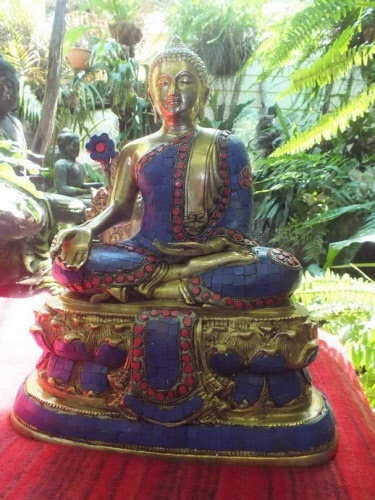 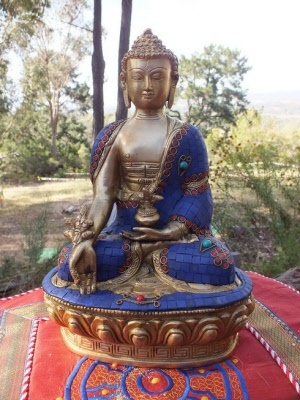 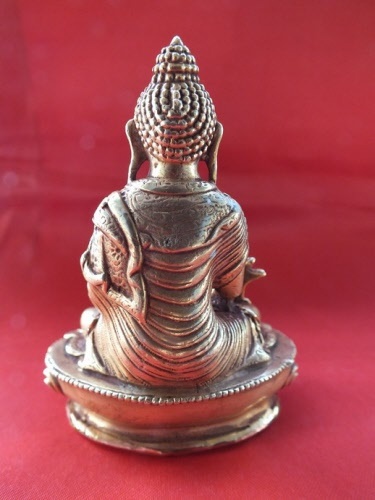 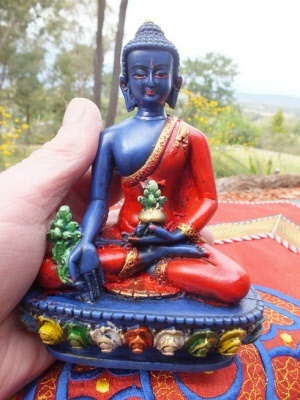 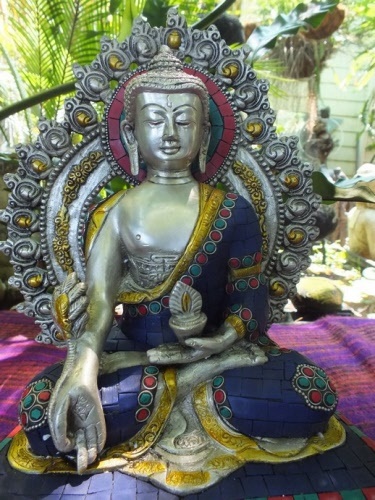 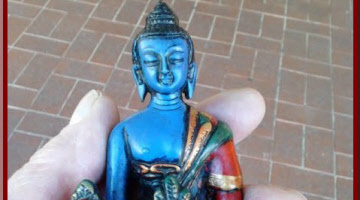 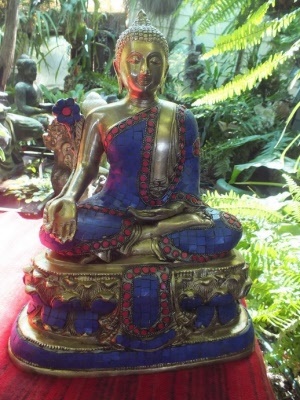 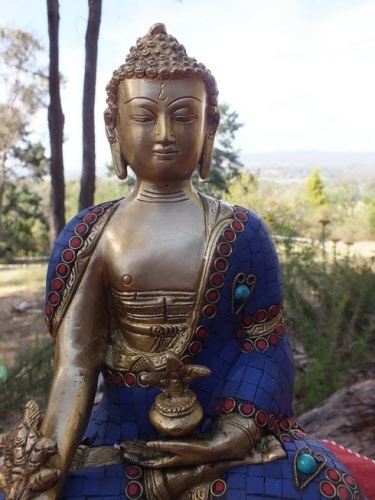 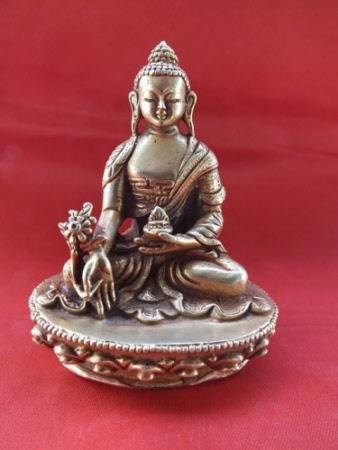 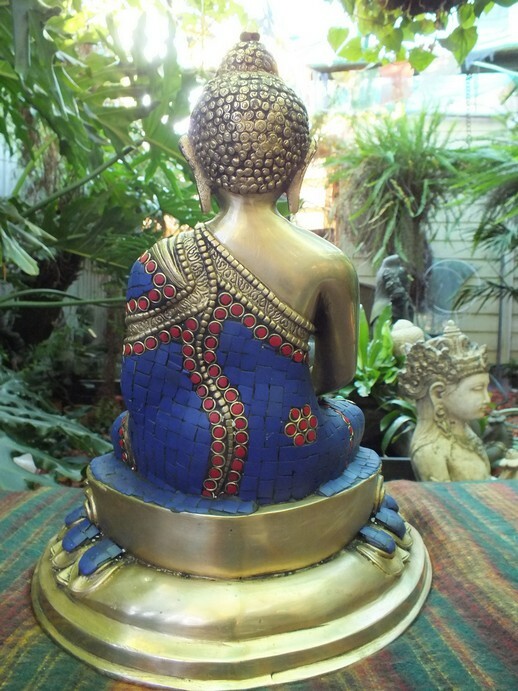 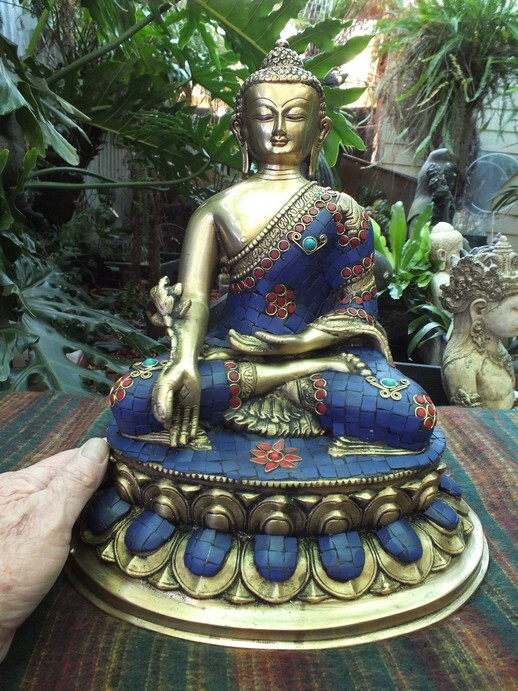 Beautiful brass Medicine Buddha statue made in India with much love, care and respect by Buddhist craftsmen and women. 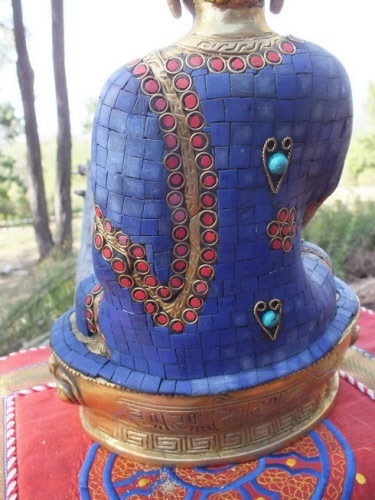 Then carefully decorated with lapis, coral and turquoise colour tiles to create a stunning masterpiece for your home shrine or altar. 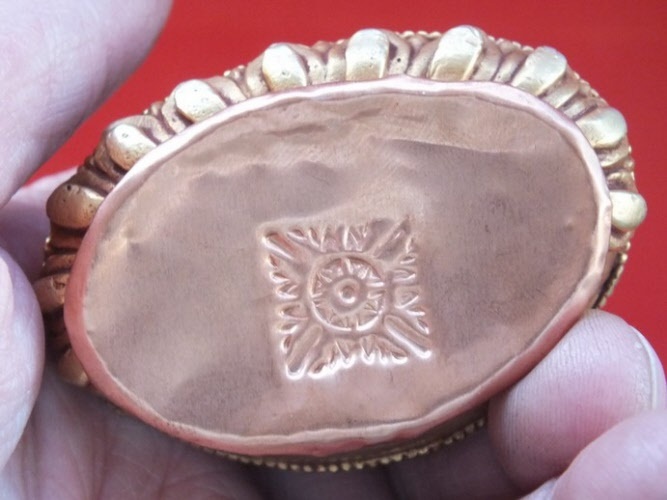 Or give as a gift to your local Temple. 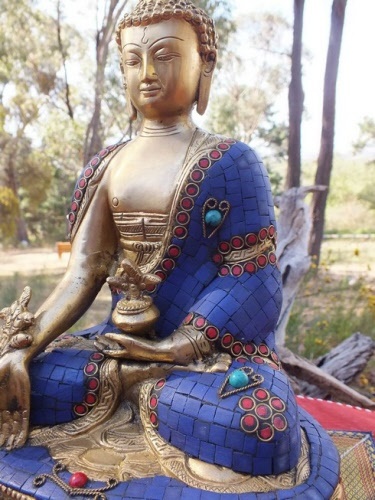 Shakyamuni Buddha is known as the great physician, because he has taught the Dhamma which is the antidote to the sickness of suffering within samsara. 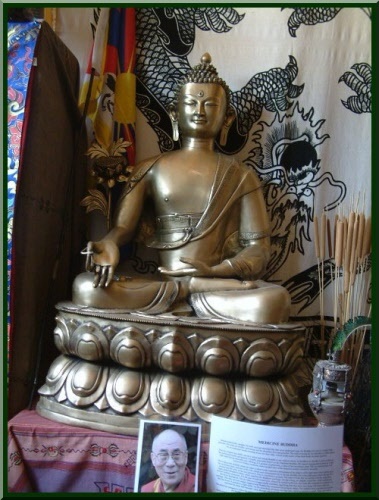 It is believed that the Four Noble Truths laid down by Him are based on the ancient medical formula of diagnosis, cause, prognosis and treatment. 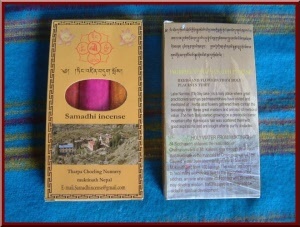 This healing fruit is wel known in Tibetan medicine. 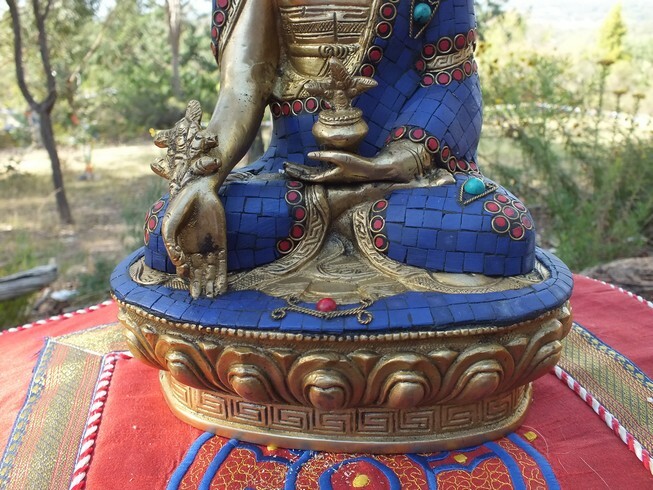 Click on photo to see more images and close up.